Moxxie Muse Susie Bentz hosting the blog today. The first project I would like to share is by the talented Misty Rushlow. She used Moxxie's Road to Recovery collection to create this beautiful file folder mini-album and provided a step by step tutorial. I really think this is the perfect project for this collection. You can see her original post HERE. When I think of Patti Hamil I think of lush, detailed, elegant layouts. My favorite happens to be the last project that Patti designed for Moxxie. She used the Fighting Back collection on this beautiful creation. You can see detail shots on her original post HERE. I adore Rhonda Van Ginkel's special talent for creating the most amazing embellishment clusters! 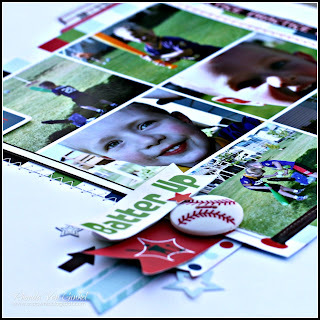 One of my favorite examples is this layout using Moxxie's vintage At The Ballpark Collection. You can see some detail shots at her original post HERE. 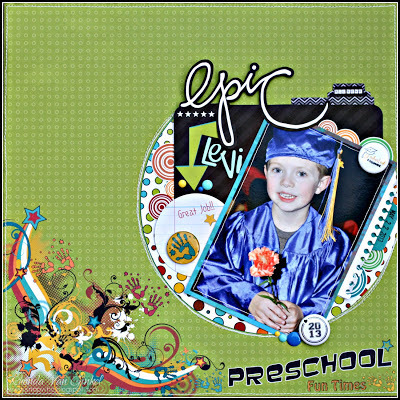 Moxxie Muse Mary Pat Siehl shared monthly creations based on her own sketches! She inspired me with this layout using the recently updated Soccer collection. You can see her original post HERE. 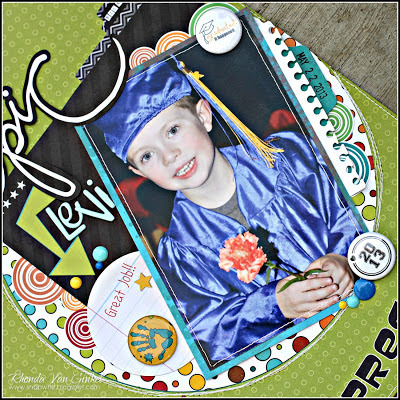 Cathy Harper knocked my socks off with this layout using the Reach for the Stars collection. It was never on the Moxxie blog,but it was shared on the Facebook page! I love all of the layouts Rebecca Price submitted, but my absolute favorite was when she combined her mixed media stylin' with the grungy Basketball collection. Her original post takes you through the steps she took to alter the background paper! Absolutely everything Dana Tatar creates is perfect down to the last detail...like the cool brads she used to embellish the tractor wheels on this layout using the new Down on the Farm collection. Her projects often include fussy cutting, florals and dimensional touches. You can see all the details on her original post HERE. No other way to say it...Michelle James creates off-the-page projects that are off the hook! 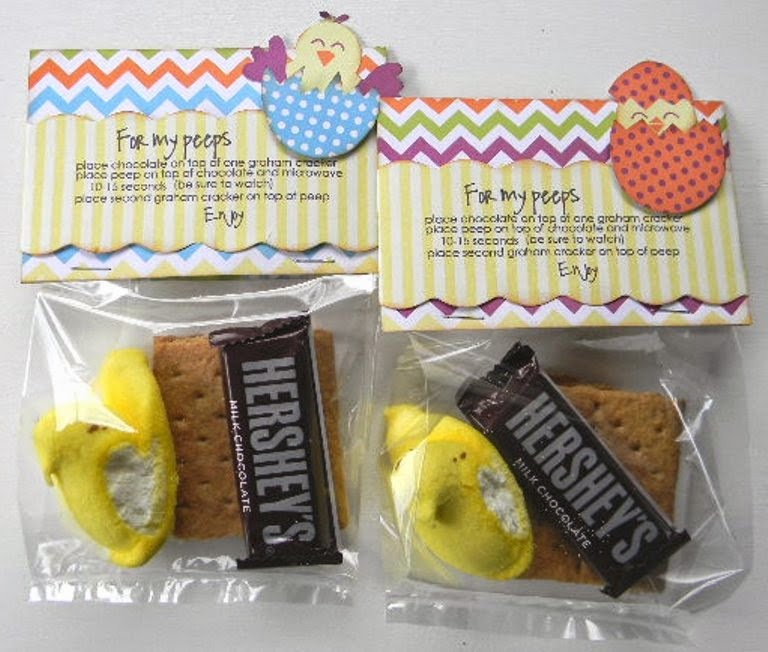 One of her recent projects, using the Easter-rific collection, makes me wish I was one of her peeps! You have to check out the original post for the details! Last but not least is Moxxie Muse Ange Weisbeck. What I admire most is her ability to inject so much humor and personality into her layouts. She integrates a little bit of grunge and a lot of honesty and makes you feel like you want to know her family. She is amazing. This layout, using Happy Camper and Fish Stories, can be found on the Facebook page. Thank you so very much for the inspiration and friendship ladies! Congratulations and good luck to the new team of Moxxie Muses! Enjoy the journey! Hello! Well, it's the end of the month and many of you are getting ready to enjoy a nice LONG weekend! To most of us, Labor Day weekend is basically the end to summer and we are moving on to the upcoming holiday season. Well, unfortunately the end of August means we are having to say good-bye to one of our Moxxie Muses. We are very sad to see Rhonda leave us but we know there are lots of great adventures in her future! I know I sure have enjoyed getting to know Rhonda and seeing her awesome work. She is one very talented lady and she is definitely one of the nicest people I have met. I am going to miss working with her but at least I have a friendship that will NEVER end! So with that being said, I created a "Good Luck" card to let Rhonda know that we wish her the best and we will miss her dearly. This card was created using the "Quite Contrary" collection! I love the colors of this collection and it works great for layouts and cards! Thank you so much for stopping by and make sure you let Rhonda know how much you will miss her! Don't forget to go check out her blog and flow her, she is one talented lady! Rhonda...you are going to be missed around here! Thanks for all of your dedication and inspiration in the past year. You are such a blessing to us all. HUGS!! Happy Tuesday to you! It's Rhonda here today to host the blog for you. I have a cute little card that I created from scraps of one of my favorite Moxxie collections, Child's Play. Do you sometimes have bits of leftovers from pages you have done, such as die cut frames and stickers? That's what I used on here to create a cute little background in no time. The frame was cut and attached to anchor on the left of the card base. I placed some sticker scraps behind it to create my focal point. The fun little sentiment sticker was adhered with foam dots for dimension. The frame was a nice resting place for the sweet little circle tree sticker. Thanks so much for stopping on over to the Moxxie blog today! Have a super day!!! Happy Tuesday Moxxie friends! 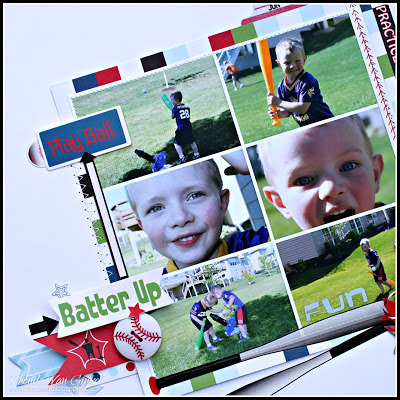 It's Rhonda here today to share a page featuring one of our new releases "At the Ballpark". The collection has such a great vintage timeless flair to it! I used kraft cardstock for the base of my page and printed my photo in sepia to coordinate. Be sure to ask your local scrapbook store to bring in the "At The Ballpark" collection for you! Rhonda here today to share a cute card with you that I created using our new "Forever Fall" collection. I just loved the sweet little squirrel and his sentiment and had to use him on a card. I accented the design a bit with some stickles and the leaf and cute little acorn stickers were perfect extra accents. Make sure you check out the Forever Fall collection! Thanks so much for stopping on over to the blog today for a visit. The Epic School Zone Collection! Sunday greetings to you! Rhonda here to host the blog for you today. We are so spoiled and get to select certain lines that we might want to work with and one of them that I knew I wanted is called School Zone. It's perfect for creating a Pre-K - Graduation album for your kids. I knew that I wanted to do this and made sure to pick up extra sheets and stickers all at once so I have lots to choose from. Our oldest just graduated Pre-School and is heading to Kindergarten this fall. I plan to capture all of the special things and include them in a recap of the school year in his book. I don't know if you're like me but sometimes I can get "stuck" on special pages. Today I decided to just dive in -- feel the moment in the photo and capture exactly what it was, right then, in that place. The circles of time, the changes in direction, the shift of the photo... it's all emotion. Strange how that comes right out. It was fun to play with this collection, adding a few tidbits of my own into the mix and really focus on the photo. Here is a detail shot so you can see some of the stickers that I used here along with an Epiphany Crafts Epoxy Round 25 to highlight a handprint for a "High 5!" The handprints are on the reverse of this PreSchool paper. If you have a school age child or need to create a school years book, you definitely want to as your LSS to bring this collection in. It's seriously fantastic! Have a fabulous rest of your weekend! Thursday Greetings crafty peeps! Rhonda here today to host the Moxxie blog. For this project I decided to showcase the TeeBall collection. Today's post features multiple images, yet white space a a bit of fun with patterns. I took a series of photographs of our boys playing ball in the backyard and decided to create a bit larger collage of them. These were printed scaled to 8x10, but when I cropped it the final size was 6x6. This resulted in a nice size for balancing a page without feeling cramped. See how it changed in appearance as I cropped it to a single block width? I knew that I wanted some white space in my design, so I kept my accents and embellishments to a minimum. It's fun to play with the design strips sometimes to create your own look. Here is the sheet of design strips. Do you see the ones I selected? Practice, practice, practice! The baseball stitching thin strip, the red t-ball strip and the polka dot thin strip. Once I had my bits and pieces arranged and positioned, I adhered everything and then added my coordinating stickers and rub-ons. I loved the long border of baseballs that narrowed in size, so I added that to the top of my page. I hope I've inspired you to get those photos on paper today! Why not try a photo collage? It makes a big impact and keeps the focus of your page to your subject. Smash Date Stamp by K and Co. Thanks so much for stopping on over today! Have a super scrappity day!